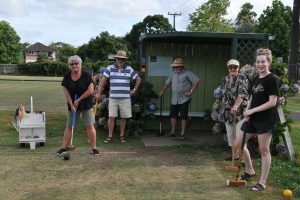 It was all out war at the Northshore Croquet Club as Rotary members, friends and family tried to get those balls through the hoops but with the help of some of the croquet club members, we were given some useful tips to take advantage of our opponents. 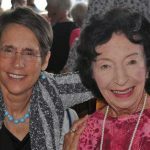 This little club is filled with old world charm and we have been lucky to use this as a venue over the years for a pleasant summer evening meeting followed by a BBQ dinner. 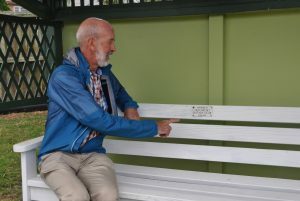 Mike Lloyd is seen pointing out the fact that Devonport Rotary donated this seat along with another to the club in 2002. 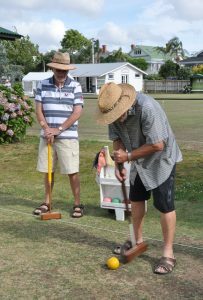 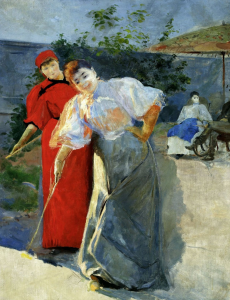 In case you are wondering where the game originated; The noted croquet historian Dr Prior, in his book of 1872, makes the categoric statement “One thing only is certain: it is from Ireland that croquet came to England and it was on the lawn of the late Lord Lonsdale that it was first played in this country.” This was about 1851 and took England by storm and then spread overseas.